Please Note: You are viewing the unstyled version of Beer MBA. Either your browser does not support CSS (Cascading Style Sheets) or it is disabled. As a result, much of this website will not look the way it was intended, although all of its contents will be accessible to you. For more information, visit our Browser Support page. 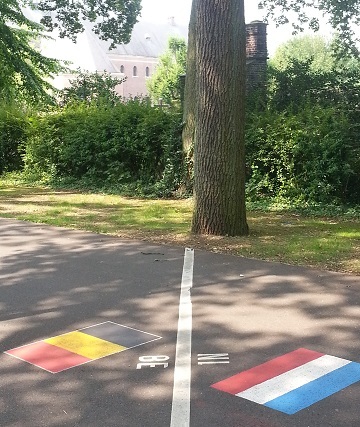 Brussels, Brugge, Antwerp, Dusseldorf and Cologne! This trip starts and ends in Brussels. 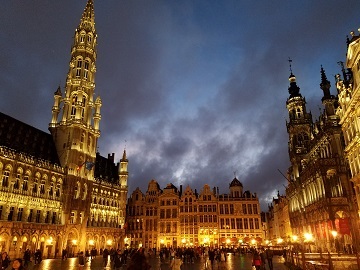 If you can not do all 10 nights, you can make this a 9 or 8 night trip by either skipping the last day trip to Cologne and back to Brussels and flying out of Dusseldorf (so 9 nights) or heading back to the Brussels airport when we leave Antwerp (so 8 nights). Contact me for pricing and more details if desired. NOTE: See day-by-day itinerary below. All photos shown below and in the video were actually shot on previous trips! 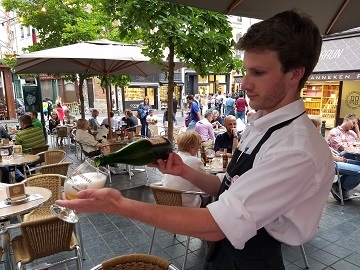 DAY 1: Thursday - August 1st - This incredible Belgian Beer Trip starts when you arrive in Brussels (we will meet at the hotel - I will provide detailed step-by-step directions for how to get from the airport to the hotel - or if you prefer I can meet you at the airport if possible). 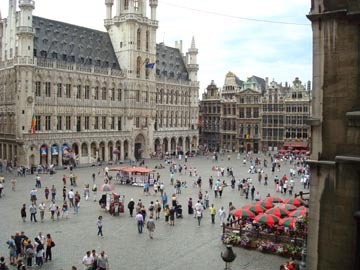 After a short nap (for those arriving that morning and able to get into their room, which is not a certainty), we will meet up around noon and take a walk around the Grand Place and the old part of Brussels. I will get you acquainted with the city, how the trains work, where things are, etc. 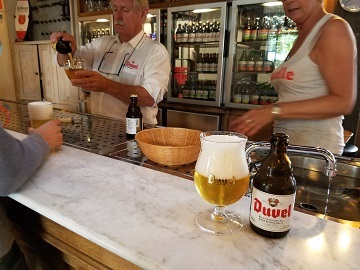 We will stop for a light lunch and perhaps your first beer (of many) in Belgium, and of course we can stop for frites, waffles (both types!) and chocolates (dont forget to ask me about that special locals pub that serves Westvleteren!). 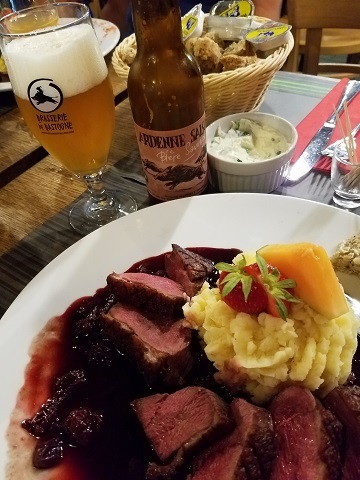 Then, we will go to one of the best beer-focused restuarants in the world for an incredible and very memorable meal (transportation to the hotel, lunch, beer and snacks during the day on your own - dinner is included). After a fun afternoon and early evening of getting to know Brussels, most of you that arrived in Belgium this morning will be exhausted, so we will call it an early night and let everyone settle into their room and get a good night's sleep. We have a very fun and very busy day tomorrow! 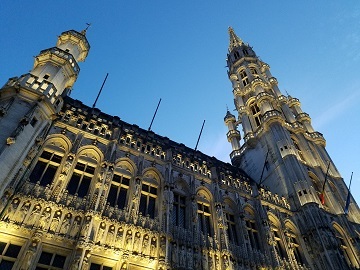 DAY 2: Friday - August 2nd - After a hearty and delicious breakfast at the hotel, we will set out to explore more of the great city of Brussels. 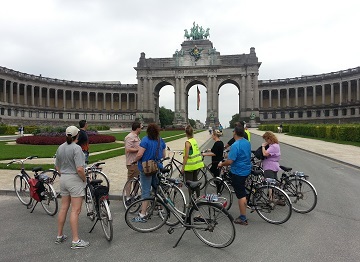 The day begins with an organized bike tour, which is a fantastic way to see and learn about the city, and includes a stop for beer and the country's famous frites (Brussels style) at a very historic location (lunch on your own). This is an amazing tour of this historic city that is both fun and educational. 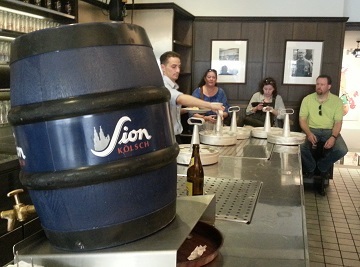 After the bike tour, we will visit one of the most famous Lambic breweries in the world, Cantillon! 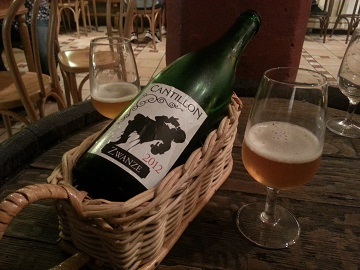 Cantillon is located in another part of Brussels, so we will take a city train across town. 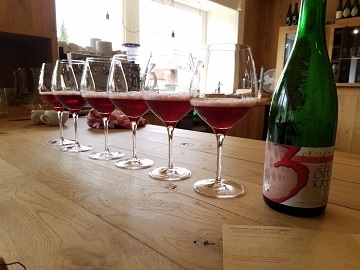 We will tour the facility, which is considered to be a working museum, and we will sample several of their incredible Lambics! This is a magical moment that you won't ever forget. 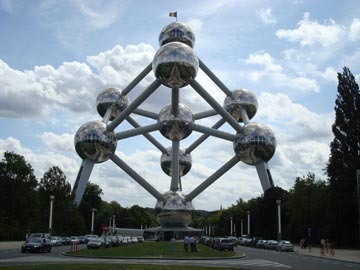 After this incredible tour, you will have some Free Time today to explore Brussels more on your own and see some additional sites (maybe the Atomium), museums, etc. You will be provided with guides, notes and directions to some of the famous beer bars, area breweries, tourist attractions, museums, etc. 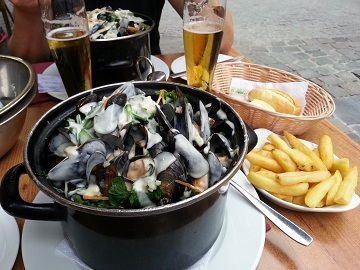 This might be a great night to visit one of the restaurant rows (walking streets) and find a deal on some incredible food, like Brussels' famous mussels (lunch, if desired, and dinner are on your own today). DAY 3: Saturday - August 3rd - Monastery Day! After another great breakfast, we will get an early start and board a private motorcoach for an incredible, once in a lifetime trip to visit 3 famous Southern Belgium monasteries. 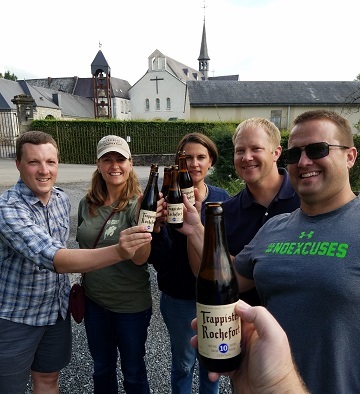 First up, a little over an hour south of Brussels is the Abbey de Scourmont, or as most people know it, the legendary Chimay! 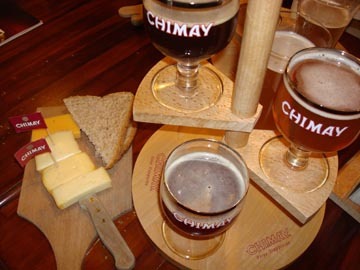 We will sample the Chimay cheeses and beers, including the elusive low alcohol beer brewed specifically for the monks and served at the abbey. 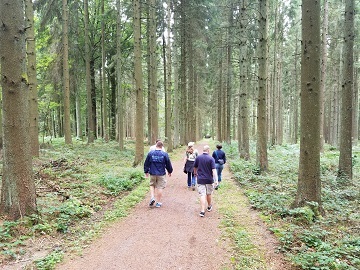 A short walk through the woods takes us to the abbey itself, where we can walk the grounds, and if we are lucky, perhaps even see and hear the monks chanting during a ceremony. Upon leaving Chimay, we will travel through rural France, as it is the shortest route, and come back into Belgium to visit Orval. 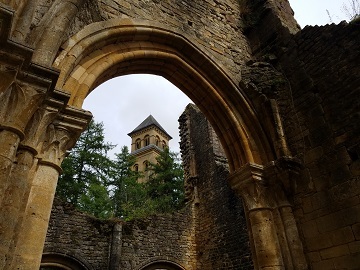 Depending on several factors, we may get to tour the brewery, but perhaps more importantly, we can walk the ruins of the original monastery destroyed in the French revolution and visit the museum located in the caverns underneath the new abbey. 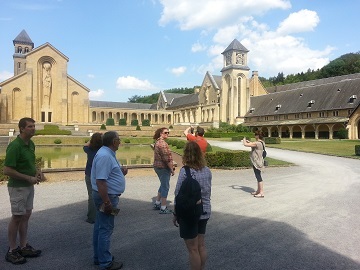 This is a great visit and a beautiful monastery! 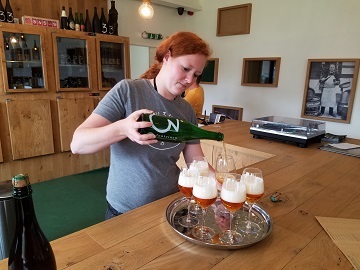 We will also eat an early dinner (included) at the Orval restaurant, where we can sample the famous Brettanomyces tinged Orval beers at their freshest, as well as an aged version and the special small version brewed only for the monks, and only available here. 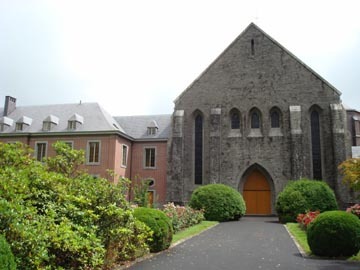 At last, we will head back towards Brussels, but we will make a quick stop at the Rochefort monastery. 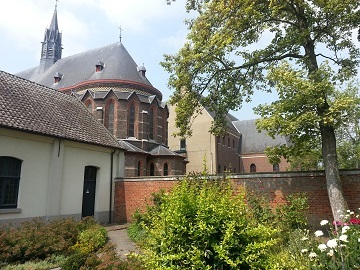 This monastery is one of the most private ones in Belgium, lacking even basic signage to find it, but we will. 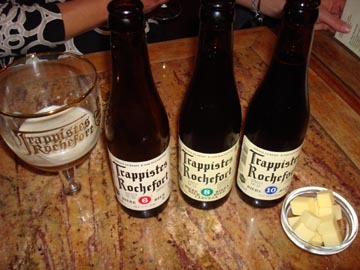 After a quick look around the grounds, and depedning on the timing, we may head into the small town of Rochefort and enjoy these famous darker fruity Belgian beers at their peak of freshness, perhaps with an end of the day dessert. Again, a day you will never forget! 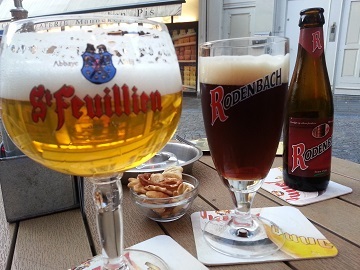 It will be fairly late when we arrive back to Brussels, but you will certainly have time to have a final beer for the day and a walk around beautiful Brussels. 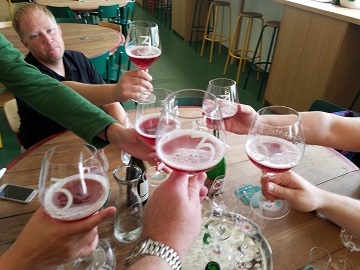 DAY 4: Sunday - August 4th - Lambic Day! After another wonderful breakfast at the hotel, we will take a train out of the city to Lambic Land, locally known as Pajottenland! 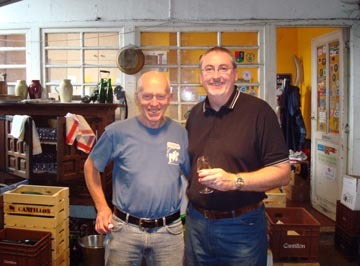 Here, we will visit Drie Fonteinen and Oud Beersel, two of the other classic Lambic and Gueuze producers. 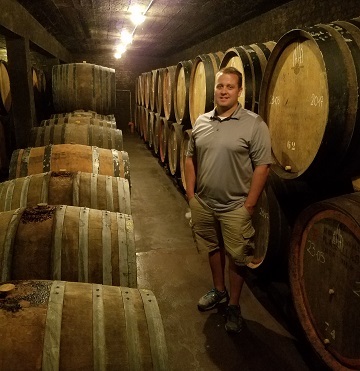 These two producers make some of the best Lambic products in the world, so this is a truly special day that includes a tour of Oud Beersel's ancient cellars and incredible tastings! 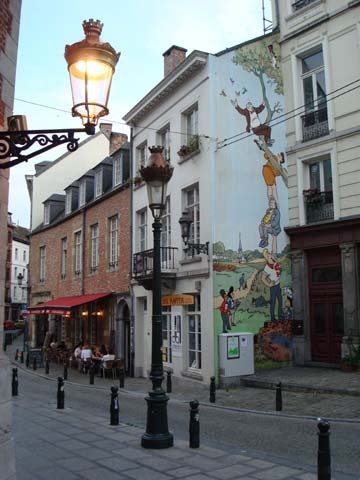 In addition, Beersel is a beautiful small town, so it is a great area to do some walking and enjoy the scenery. We will have some lunch in the area (on your own), and also spend a little while visiting the famous Beersel Castle. 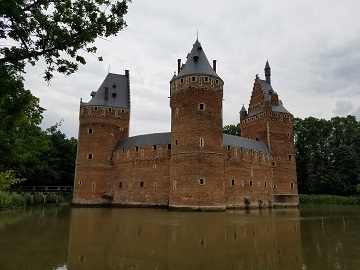 This castle visit is a unique experience, as it is the untouched ruins of a real castle, complete with a moat, drawbridge, battle stations, and more. This will be a full day, but we will arrive back in Brussels in time for you to have some dinner (on your own) and do a little more exploring on your own. Or, you may just want to take some time to relax, and get packed and prepped to depart Brussels tomorrow morning. 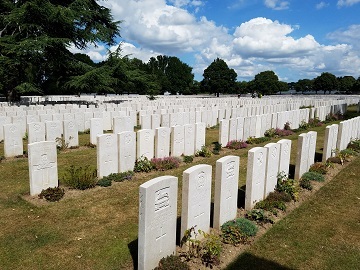 DAY 5: Monday - August 5th - It is always hard to say goodbye to Brussels, but we still have some incredible places to visit! 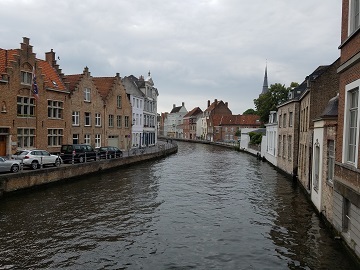 After another great breakfast and checking out of the hotel, we will board a private motorcoach and head to the beautiful, fairy tale city of Brugge in Northern Belgium. 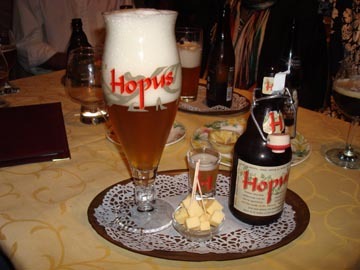 On the way to Brugge, we will have a couple great stops, including the town of Oudenaarde, where we will visit the famous Leifman's brewery. 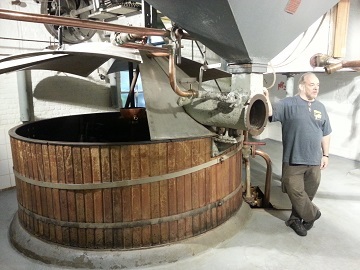 This is an amazing tour of their old historic brewery, parts of which are still used to create their unique true Oud Bruin Sour Beers. 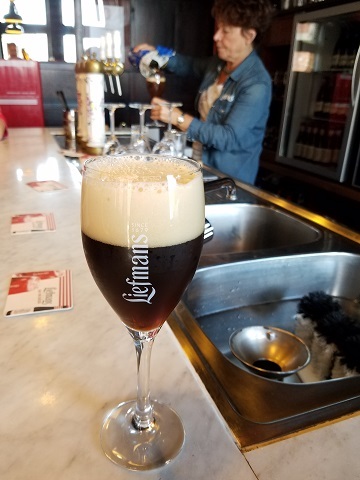 After the tour and tasting here, we will continue on to the beautiful town of Roeselare, the home of the legendary Rodenbach Flanders Red-Brown Sour Beers. 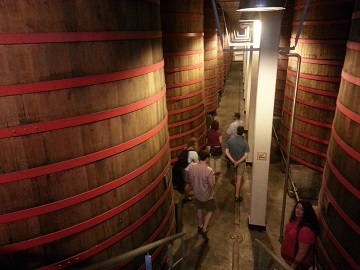 Hopefully, we will be able to tour the brewery, and see the giant foeder tanks in person, then have a great tasting of their famous and unique beers. 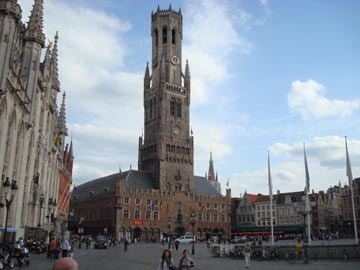 After our visit in Roeselare, we will continue on to Brugge. The architecture, culture and feel of this incredible little town is like none other on Earth. Throw in the incredible beer of Belgium, and it might be the closest thing to heaven you will experience until you visit that big brewery in the sky. After we check into our hotel, we will spend a little time getting acquainted with the city, eat some dinner (included), then visit some of the great beer bars. 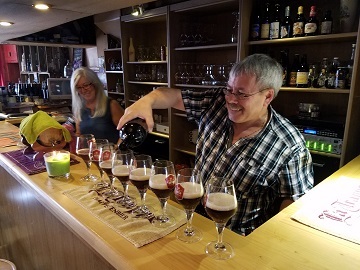 Brugge has some of the best beer bars on the planet! These are places that won't even serve a beer if they don't have the proper glassware for it and every beer has its own special glass. These are incredible experiences! 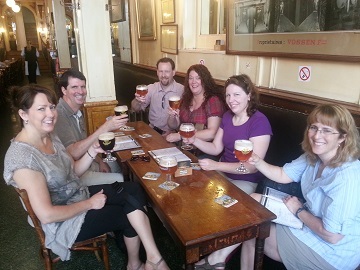 DAY 6: Tuesday - August 6th - Today, after a hearty breakfast, we will get a bit more acquainted with Brugge. 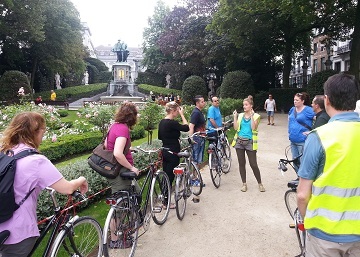 I'll make sure you know where you can rent bikes, where the other famous beer bars and breweries are (including De Halve Maan and Bourgogne des Flanders), where some of the key tourist sights are, etc. I'll also show you how to navigate the very confusing street map to keep from getting lost (or at least too lost - getting lost in Brugge is part of the fun). 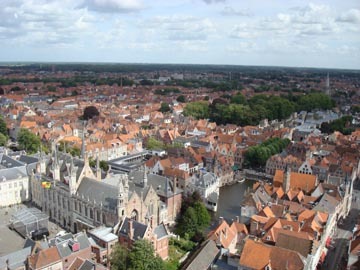 Since our time in Brugge is short, you will have a lot of free time today to explore the city and the area on your own. 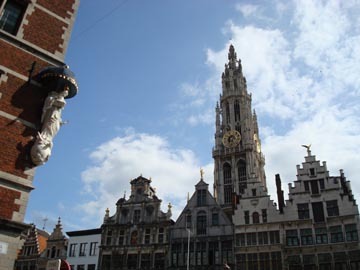 There is a lot to see and do, including the famous boat tours of the city, climbing the bell tower, seeing the Church of the Holy Blood (where you can touch the vial that supposedly contains the dying blood of Jesus), or the only Michelangelo statue in Belgium, etc. 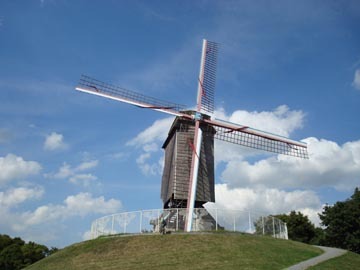 In addition, you can rent bikes and ride around the city where you can see real windmills, or you can even ride into Holland if you wish (yes, it is that close). 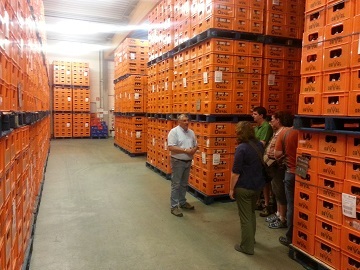 There is also a bike tour that goes to a small neighboring town that has a small brewery. In the late afternoon or evening, we may get together for a special beer tasting of unique regional beers and/or we may meet back up at one of the great beer bars to tell our tales of the day. Lunch, if desired, and dinner are on your own. 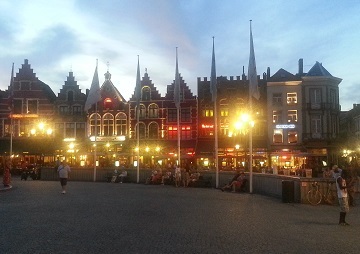 DAY 7: - Wednesday - August 7th - Today, after breakfast and checking out of our hotel, we will board our private motorcoach, and say goodbye to the fairytale town of Brugge and head to the metropolitan city of Antwerp. 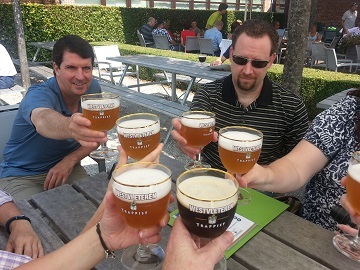 On the way to Antwerp, we will make a visit to the most elusive and legendary monastery of them all, Westvleteren! 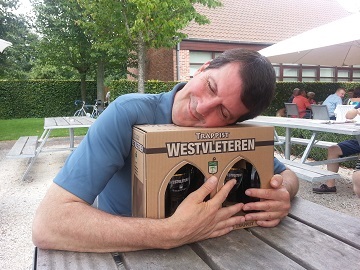 Westvleteren and the famous Westy 12 dark strong Belgian beer is hard to find, even in Belgium, but at the monastery, you can drink all you want, and for a very reasonable price. 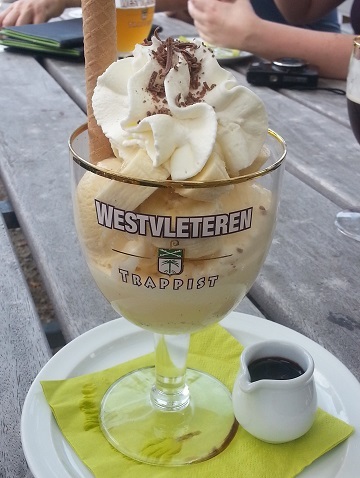 AND you can even get something more special, Westy 12 Ice Cream! Also, if we are lucky, you might be able to purchase some beer to bring back (you never know what, when or if they will be selling any). 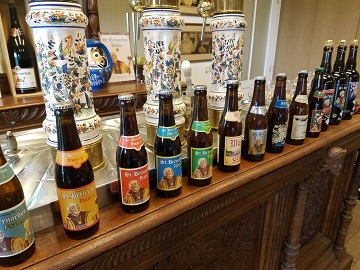 In addition to drinking the great Westvleteren beer in an incredible setting surrounded by fields of barley, we can also take a holy walk to a small chapel in the woods, and visit the abbey museum (food and beer on your own). This is a very memorable stop on our trip! 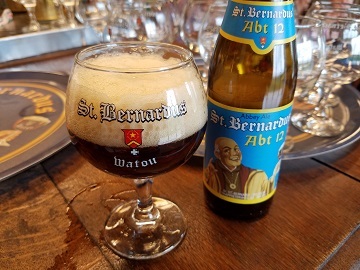 In addition to this great visit at Westvleteren, we may make a few other stops on our journey to Antwerp, including the famous St. Bernardus Brewery, a Hop Farm in Poperinge and one of the many WWI Flanders Fields military cemeteries. 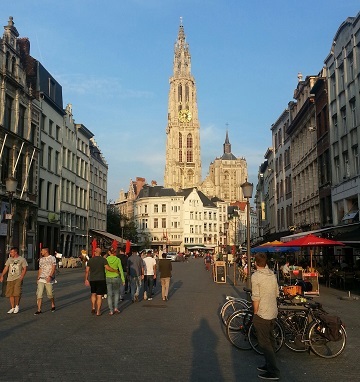 We will arrive in Antwerp in time to have some dinner (on your own) and to start exploring this beautiful city a little after checking into our hotel. DAY 8: - Thursday - August 8th - It is our last full day in Belgium and I have saved some of the best beers in Belgium for today. But first, you will have some time in the early morning (and later tonight when we return) to explore Antwerp. 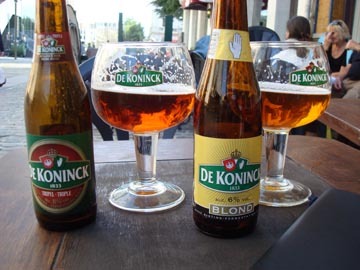 We are not in Antwerp very long, but you will want to look around, drink some of their DeKoninck beer, visit some of the city's great beer bars, and/or see the sights, including Peter Paul Rubens home and his work inside the city cathedral. 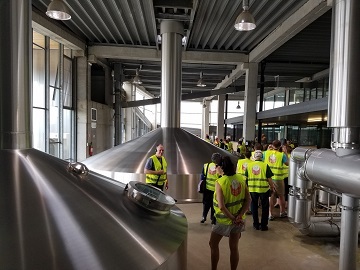 Around mid or late morning, we may travel by bus to either the big Duvel Brewery or the big Het Anker Brewery (Gouden Carolus beers) for a tour of these large plants that produce a wide variety of great beers. 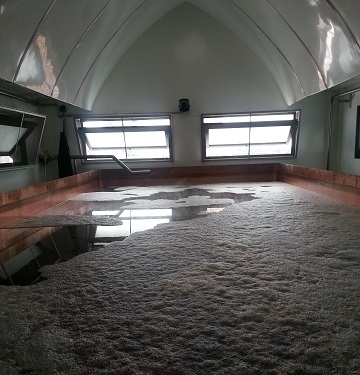 This tour will depend on timing, but either way, we will definitely continue on to the famous Westmalle monastery! 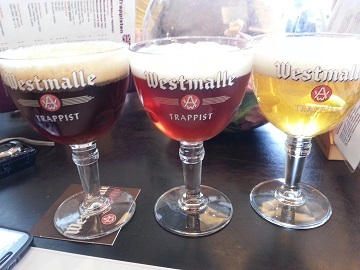 Once we get to Westmalle, we can watch a nice video presentation about the monastery and the brewery at the large restaurant located there. We can also walk the grounds of the monastery. 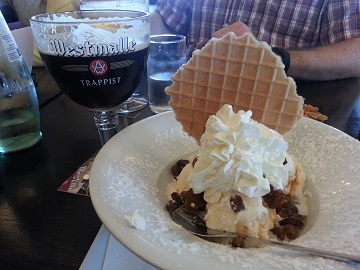 The restaurant is unique in its ability to serve both cold or cellar temp Westmalle beers (Dubbel and Tripel), and they also serve a very unique Half and Half blended beer, and even an ice cream with a Westmalle Dubbel caramel raisin topping! Yes, it is as good as it sounds! 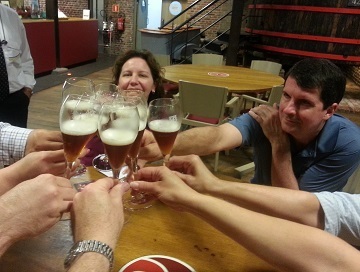 In addition to the beers, we will have an early dinner (included) here at Westmalle. 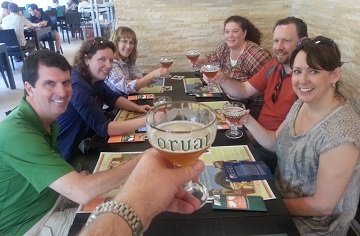 This is a really fun way to close the Belgium portion of the trip. 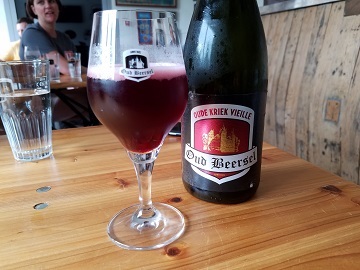 We will get back to our hotel in Antwerp in time to have a last beer and/or relax a little and get packed and prepped for heading to Dusseldorf tomorrow. DAY 9: - Friday - August 9th - Today, after another great breakfast, we will board a private motorcoach that will take us to Dusseldorf, where we will spend the night. 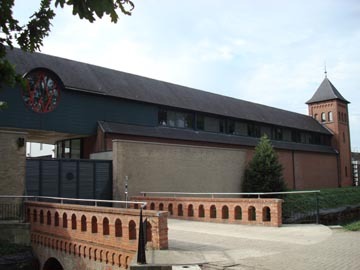 On the way to Dusseldorf, we may stop by the final / 6th famous Belgian Monastery, the smaller, craft-like Achel. 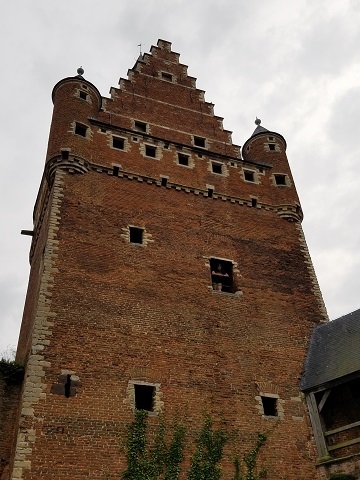 The Achel Monastery is located right on the border of Belgium and the Netherlands, which makes for some great photos on the border. 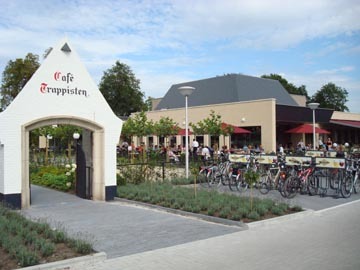 This would be a quick stop (beers on your own), as we will want to continue on our journey and arrive in the Netherlands at the La Trappe Monastery for a tour and a late lunch (on your own). 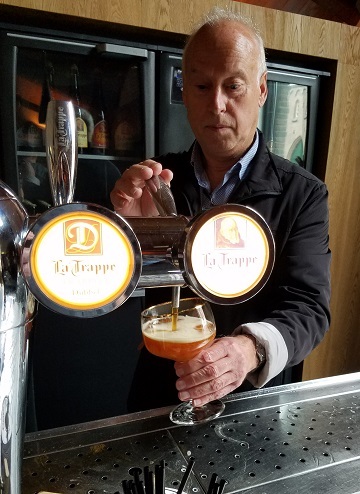 La Trappe is one of the oldest monastery breweries in the world, and they make an incredible line-up of beers. Combine that with a beautiful country setting, a great gift shop, great food, etc.,and you can see why this is one of my favorite monastery visits. 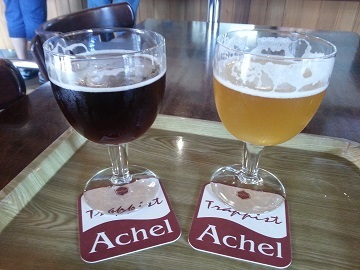 After a great visit at La Trappe, we will continue on to Dusseldorf and check into our hotel. 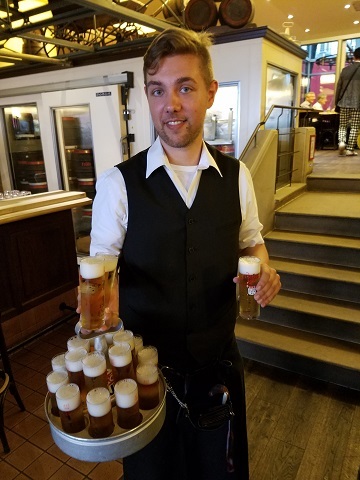 In Dusseldorf, we will have an incredible Farewell Dinner (included) at one of my favorite breweries, Zum Uerige, the maker of the classic Dusseldorf Altbier! 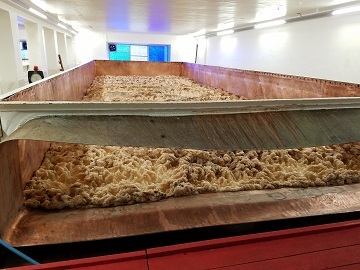 If possible, we may also get a tour of this unique brewery that still uses a coolship and insists on various other older brewing techniques. 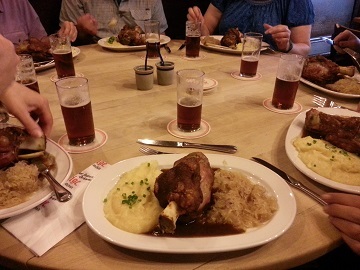 After this dinner, we should have time to walk around the Altstadt (old part) of Dusseldorf and sample various other breweries and their versions of Altbier. 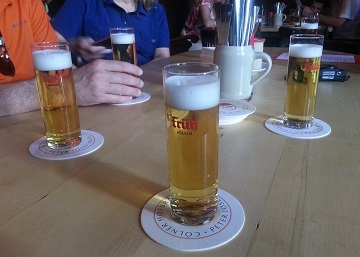 DAY 10: - Saturday - August 10th - Today, after a nice breakfast and maybe a final Altbier, we will board our private motorcoach and head to Cologne and then on back to Brussels. 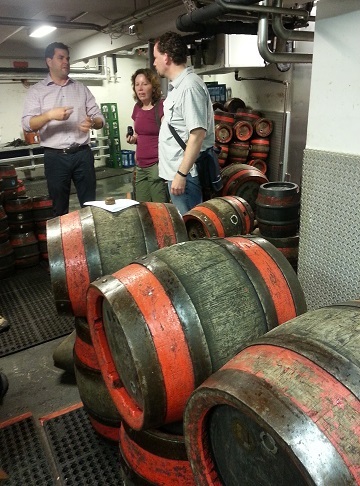 We will spend all afternoon exploring Cologne and sampling as many Kolsch beers as you wish. 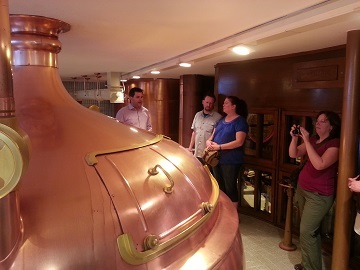 All the breweries in Cologne make the light, crisp, delicious Kolsch style beer, and visiting lots of Cologne breweries and sampling many versions of this great style is a lot of fun for any beer lover! 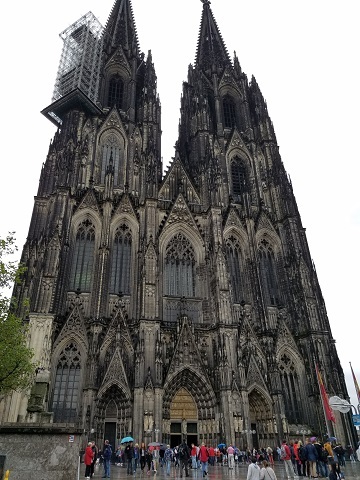 In addition, there are some great sites to see, like one of the Top 5 rated gothic cathedrals in the world and seeing the gold case that houses the bones of the Three Wise Men. This is truly an amazing cathedral that is hard to believe without seeing it in person. Lunch and beers are on your own. After an incredible visit in Cologne, we will head back to our original hotel in Brussels for our final night of the trip. 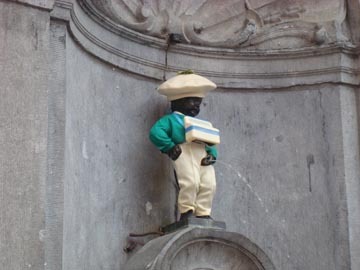 We will get back into Brussels in time to have a last beer, dinner (on your own), revisit some favorite places, get some last minute gifts, etc., and then relax a little and get packed and prepped to leave tomorrow. DAY 11: - Sunday - August 11th - Today, unfortunately, we will say goodbye and take the city train (on your own) from the hotel to the Brussels airport, or you will venture on to wherever your travels may take you next, while dreaming about the next time you will see Belgium and Germany again!. 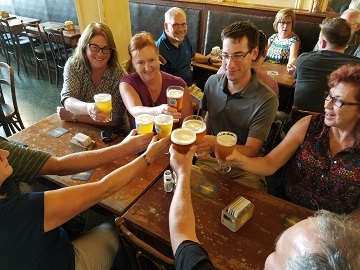 COST: The Cost for the Summer 2018 Belgium Beer Trip is $3,150 USD per person traveling as a couple / pair (i.e. Double Occupancy), or $3,780 USD (hopefully a bit less) for someone traveling alone (i.e. Single Occupancy). These prices should not change, unless the exchange rate or trip plans change dramatically. That is not expected, but this trip is a long ways off and anything could happen, so the final, exact costs will be determined as people commit to going, and as the time gets a little closer, etc. WHAT IS INCLUDED: Basically, everything except the meals and beers specified above, your personal purchases, your airfare, and transportation from and to the airports. It includes all hotels, breakfasts each day, several meals and beers, train and bus travel, taxis, admission fees, tips, etc. Note: For the included dinners, a certain amount of beer is included and in most cases is all you may want, but if you want more, you will pay for this separately or we will keep an accounting of it and you can reimburse me later. COULD I SAVE MONEY DOING THIS ON MY OWN: Possibly, but it can require literally hundreds of hours of research and planning to make it happen as smoothly as what you will get on my trips. Also, you may have to drive yourself, or navigate foreign transit systems, to experience some of what we do, which puts a damper on being able to drink and enjoy yourself. Lastly, several things are just not options for people traveling alone. Either the group and / or my connections make some of the tours and things we do feasible. So yes, it is possible to save a little money, but I'm not making that much and the added value I offer is well worth it to most people. Lastly, when calculating costs on your own, many things are often overlooked, which add up to extra dollars spent, plus without the proper planning, mistakes can happen and they can add costs quickly. 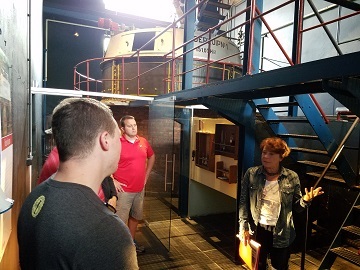 I DON'T KNOW IF I WOULD LIKE TRAVELING WITH A GROUP: This isn't a cruise ship or a high school field trip where every second of every day is planned. There are opportunities to do things on your own, there is no curfew, and few very early mornings. Also, the type of people that do a trip like this, are probably a bit of a beer geek just like you, and are usually pretty good people. Lastly, these are relatively small group trips comparatively. 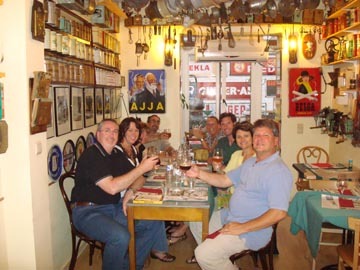 So just relax and have fun with some like-minded people in a flexible and friendly environment. PAYMENT TERMS AND CONFIRMATION: I need to confirm the trip as soon as I can to get hotels, buses, tours, etc. scheduled. Thus, if you are interested or certain that you want to go, contact me and/or pay your down payment / initial payment as soon as you can. See the instructions below for how to get registered. A trip can be confirmed as soon as I have enough people signed up. Airline tickets should not be purchased until the trip is confirmed. To reserve your space, or communicate with me, send an email to BeerMBA@MarketWiseSolutions.com. To officially register and pay your 25% down payment, also send me an email, and then either use the form below or go to www.Paypal.com and send any amount of money you want to this email address... "RonSmith -AT- MarketWiseSolutions -DOT- com". If doing this, please be sure to send me a follow up email to let me know how much you paid and what it is for. NOTE: If the trip does not happen, this full down payment amount will be refunded to you. Otherwise, as soon as I have enough people signed up to confirm the trip, I will notify you with that confirmation, and at that point the 25% down payment is no longer refundable. You will then be asked to pay the remaining 75%. This remaining 75% is due in full at least 3 months before the departure date (but sooner is better). After that 3 months prior to departure point, when all money must be received, no money can be refunded. All plans have been made at that point, things have been paid in advance, this is Belgium's peak travel period, etc. In the event of a complete cancellation of the trip on my part, either another guide will be assigned to lead the trip, or all money not paid out will be refunded to you along with instructions and notes to allow you to still do as much of the trip as possible on your own. These terms are subject to change at any time, but they represent the general policies. INSTALLMENT PAYMENT PLAN OPTIONS: As a college educator, I know that money can be tight for some people, especially students, but I would like them to be able to do my trips if they really want to have these incredible life experiences. So to help with that, people can basically add money to their Trip Account whenever they want and I will just keep it in their account until it is either needed or refunded. You can just go to www.Paypal.com and send any amount of money you wish to this email address... "RonSmith -AT- MarketWiseSolutions -DOT- com". If doing this, please be sure to send a follow up email directly to me, to let me know how much you paid and what it is for. These funds are subject to the same cancellation and refund deadlines and arrangements as any other funds, so as long as deadlines are not passed, if you start adding to a fund, but cannot go on the trip, your money will be refunded (except any fees incurred). This unique payment option provides a way for people to pay a little at a time, on whatever schedule they want (i.e. even daily or weekly additions can be made). 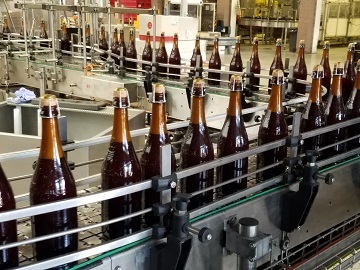 If you have any questions about this, contact me via email at BeerMBA@MarketWiseSolutions.com. The hotels are all very nice, safe, approx 3+ star type accomodations, with private baths and all the usual European amenities (i.e. possibly not air conditioning). More details can be provided upon request. The itinerary and plans may change. With travel plans like this, things out of my control can always occur. If / when that occurs, I will try to plan something else. It will always be a fun and enjoyable trip and I will always give you your money's worth. As the trip gets confirmed, I will provide various documents, including one for Trip Planning and Preparation, which covers lots of important issues for European travel, such as currency, mobile phones, internet access, power adapters, what to pack, and much, much more. I will also provide documents for How to Get to the Hotel, and for the Final Trip Itinerary, etc. If you need a roommate, I can try to pair you up with someone, but it is up to you to make it work. As with most European travel, these trips require A LOT of walking, standing and movement. You should be in reasonably good shape in order to participate in everything planned. However, there are certainly ways to make it easier and do less walking, etc. if you wish and don't mind not trying to keep up with the group. Also, as with most European travel in the summer, expect it to be VERY HOT at times and do not expect to find air conditioning everywhere. Hopefully, our hotels will have air conditioning, but this can't always be guaranteed, because most hotels simply do not have it, and even if they do, it may not work very well. Most restaurants and other public places do not have air conditioning either. In most cases, the heat is not too bad, but there are times in late July and August when it could get extremely hot. If this occurs, we can not control the weather and we will survive, though it may not be comfortable for a little while. In these situations, you will truly get to experience what it is like to live in that part of the world where most people do not have air conditioning. Lastly, as with most European travel, expect things like hotel rooms and restaurants to be small and the quarters to be tight. Unlike the US or other parts of the world, space is often limited in Europe and many buildings are very, very old. This is part of the charm and the experience. I am only the coordinator of the trip. I charge a fee to assist you and guide you in your travels. I am not responsible for, or liable for, your health, safety, lost or stolen property, etc. Click here to sign up, get on my email list and/or contact me! Also, be sure to Like Us on Facebook! 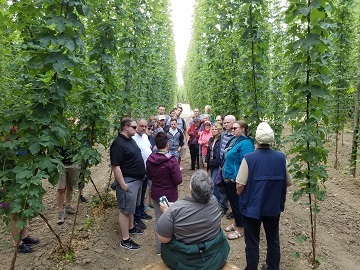 Learn More about our incredible Beer Trips and Sign Up Today! Learn more and/or sign up today! 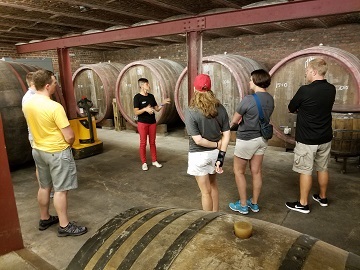 BJCP Study Groups are conducted once per year in the Fall, Beer Expert Training (for taking the Cicerone® exams) can be scheduled as needed, and special class sessions for beer distributors, wait staff and others in the beer industry can be customized to meet your needs. Private sessions for parties and events can also be arranged. See Classes for more information and/or call to discuss your needs! 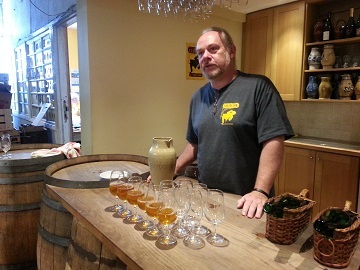 A series of beer education classes to increase people's appreciation of the world's beer styles. Classes currently in Indianapolis, Indiana, with more cities being added soon. © Copyright 2019 MarketWise Solutions. All Rights Reserved.